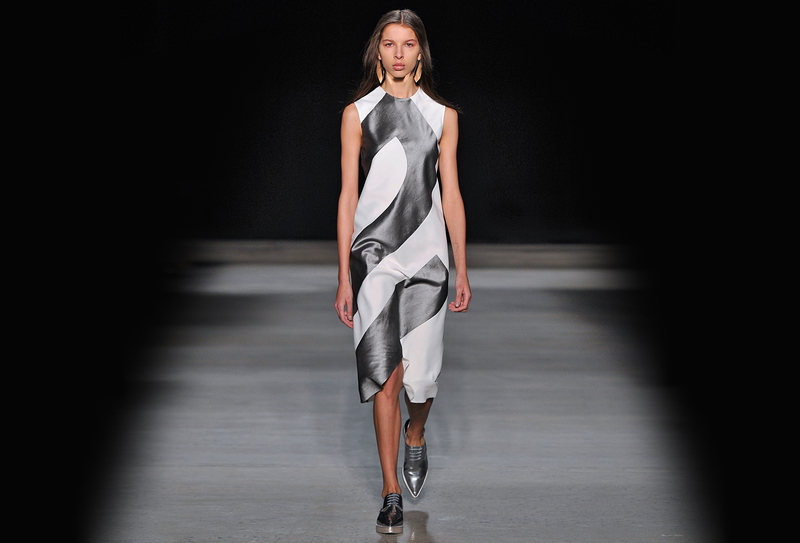 Opening reception for Narciso Rodriguez: An Exercise in Minimalism is free and open to the public on Sunday, Oct. 16, from 3:00-6:00 p.m. at Modesto A. Maidique Campus (space is limited, the public is encouraged to RSVP in advance here). 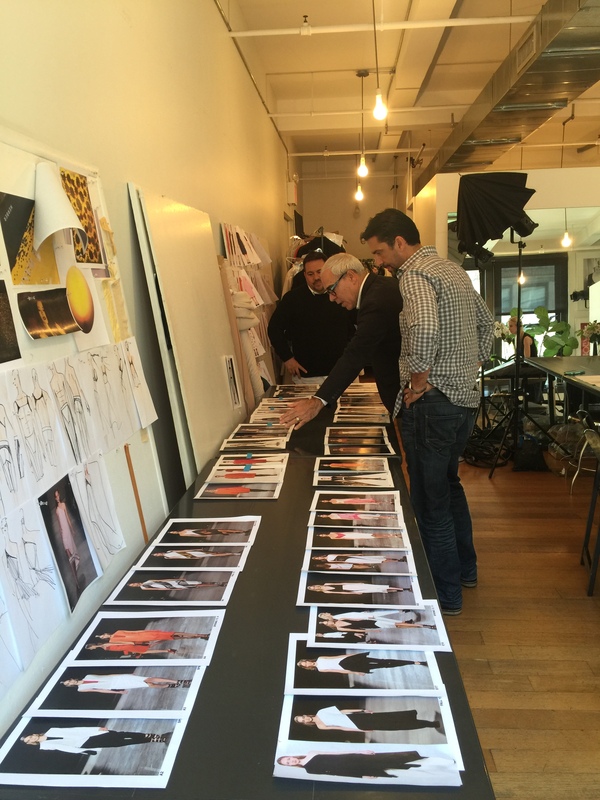 Narciso Rodriguez in the studio. Headlining the Patricia & Phillip Frost Art Museum’s Art Basel Season for 2016, Narciso Rodriguez: An Exercise in Minimalism is the first-ever museum solo exhibition by Cuban-American fashion designer Narciso Rodriguez. The exhibition, on view Oct. 16 through Jan. 8, features more than 35 couture designs presented alongside works of art in the museum’s Grand Galleries. Visitors will experience the history-making fashions next to works by major artists, including Carmen Herrera, Donald Judd, Jennifer Steinkamp, Lygia Clark, Mira Schendel, Antonio Llorens and Elena Asins . This is the first time a major museum presents an exhibition by a living fashion designer during Miami’s Art Basel Week. “I am honored to be asked to be part of the celebrated history of exhibitions presented by the Frost Art Museum at Florida International University, and particularly excited to do so during Art Basel Season in Miami,” Narciso Rodriguez said. Klaudio Rodriguez, the museum’s curator, helps select some of the fashions to be included in the exhibition. The exhibition is co-curated by ELLE Magazine’s creative director Alex Gonzalez, and the Frost Art Museum’s curator Klaudio Rodriguez. The museum is partnering with ELLE on both the exhibition and the private reception/fundraiser the evening before the public opening. “The strength of our inaugural couture exhibition is our emphasis on Narciso Rodriguez’s internationally renowned artistry and creative process,” said Jordana Pomeroy, the museum’s director. “Like a master sculptor or painter, he finds inspiration in the world around him to create an artistic continuum of ideas that are the underpinning of his life’s work. 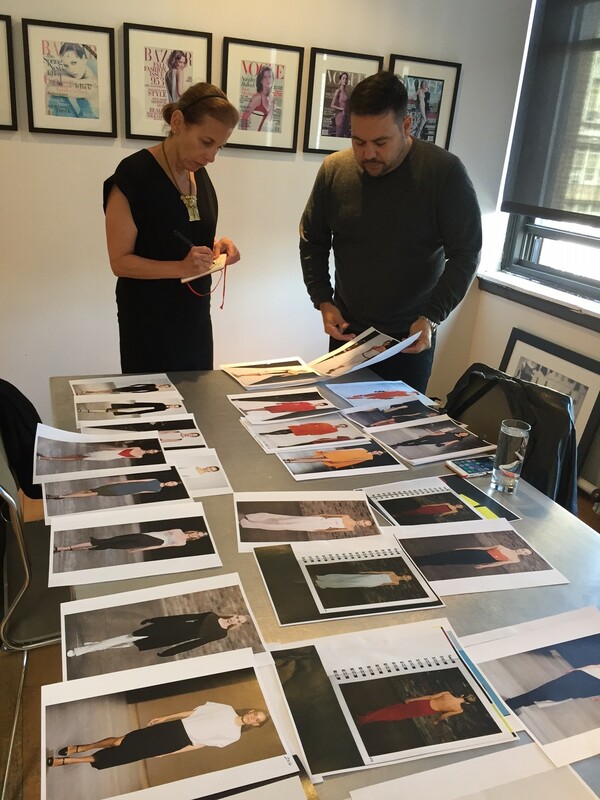 Fashion designer Narciso Rodriguez meets with the museum’s director, Jordana Pomeroy, in his New York studio to plan the exhibition. “As a first-generation immigrant who impacts our contemporary culture globally, Narciso personifies the creative aspirations of today’s artistic influencers who are propelling the artistry and designs of this new century. Alongside our guest curator Alex Gonzalez, creative director at ELLE Magazine, these two powerhouses will present a cultural milestone that will inspire and resonate strongly with the international communities here in Miami, at Florida International University, and visiting for Art Basel 2016,” Pomeroy added. The opening reception is free and open to the public on Sunday, Oct. 16, from 3:00-6:00 p.m. at Modesto A. Maidique Campus (space is limited, the public is encouraged to RSVP in advance here).